2-8 persons are players at a table or a floor area. In addition, you need a person acting as a Reader (or an audio device). 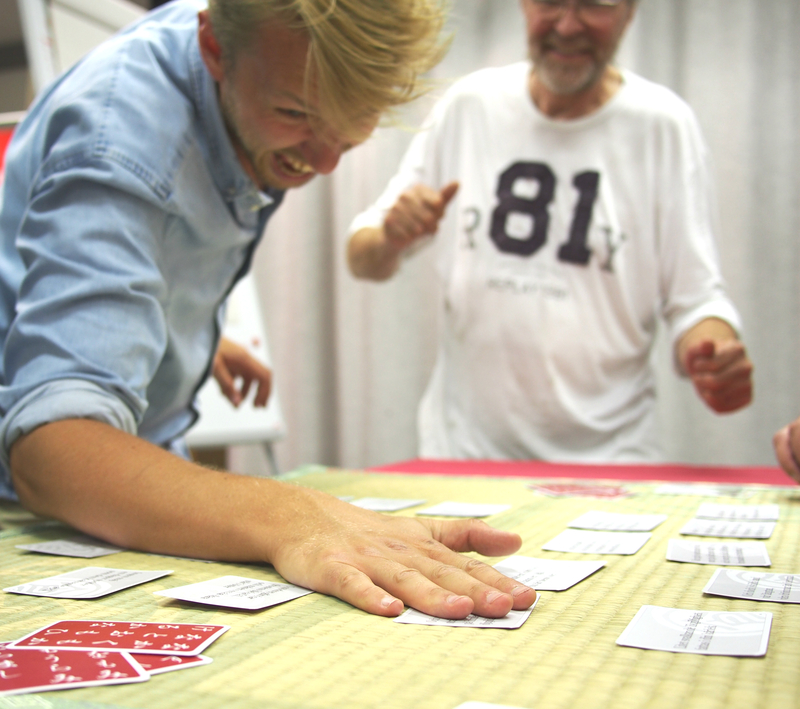 The Reader can serve several groups of players simultaneously in one room, but each group of players must have its own set of playing cards. This is a game about listening and finding FAST what you are listening to in the cards you will pick. Grab the correct cards before the others do in order to win! The more poems you know of the 50 poems, the faster it is for you to recognize a certain poem when you hear the reader read the beginning of a quotation to quickly pick up the correct continuation. The Reader will always read the whole quotation so no prior knowledge is needed! Just listen well and be FAST! Ogoola Karuta is based on a Japanese poetry game (Japanese card game) from the 1600s. If you flip the English (or Swedish) cards you can also play the original Japanese version! The unique backside shows the true Japanese images and texts from Tamura Shogundo in Kyoto. These Japanese poems are from the years 626-974. 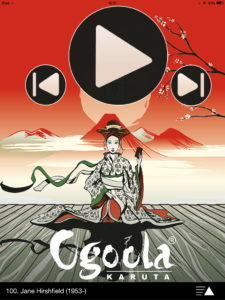 Ogoola Poetry Game contains two kinds of cards – Reading cards and Playing cards. Each reading card has a well-known quotation from an English poem written on it (the first half of the text in red letters and the other half in black). Each playing card has only the second half of the poetry quotation written on it which corresponds to a reading card. Playing cards are printed only in black with larger letters. 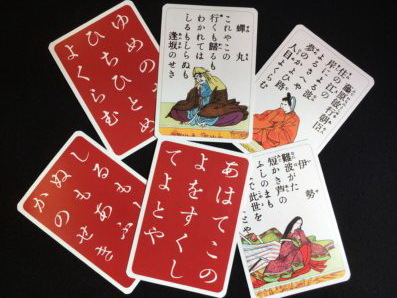 The back side of the cards are printed with the original “Hyakunin-isshu” cards made by “Shogundo” for design and playing in Japanese if interested. 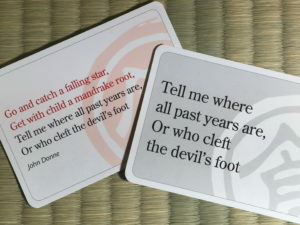 When the Reader reads out the poetry quotation on the reading cards, the players quickly search for the card among the playing cards to look for the second half of the quotation. The Reader reads the whole quotation once (regardless of whether anyone has found the correct playing card or not). After that, if the matching playing card has not yet been found, the Reader reads the second half once more (the black text on the reading card). In cases when it is difficult to determine which of the players was first to pick the correct card, it is recommended that the players play Jan-ken-pon (Rock-paper-scissors in English). It makes a big difference if you know the poems at beforehand. If you know the poem, you will be able to search for the matching playing card as soon as the Reader begins reading the first words of that poem. Whoever knows all 100 poems is, of course, most likely to win! You can also play with the Ogoola Karuta EN Reader app! 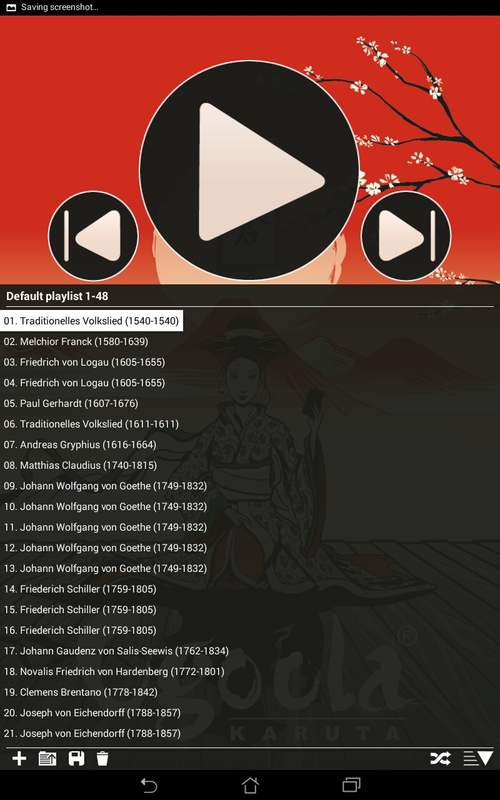 This app serves as the reader when everybody wants to play. Especially if you are only two people, this app will allow both to play the game because you normally need one person to act as the reader. The poems are read by actress and singer Myrra Malmberg. 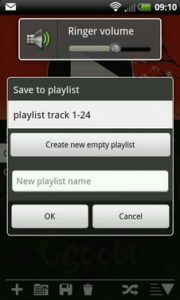 Click the links below to go to the app stores!